Description: Omnigrid Mat & Ruler Travel Kit is perfect for take-a-long, classrooms, beginners, quilting, crafts, memory books and more. Kit includes a 1 x 6 inch ruler, a 4 x 4 inch grid ruler, a 6 x 6 inch ruler with angles, and a 8 3/4 x 11 3/4 inch Omnigrid Mat. See more Omnigrid Cutting Mats. 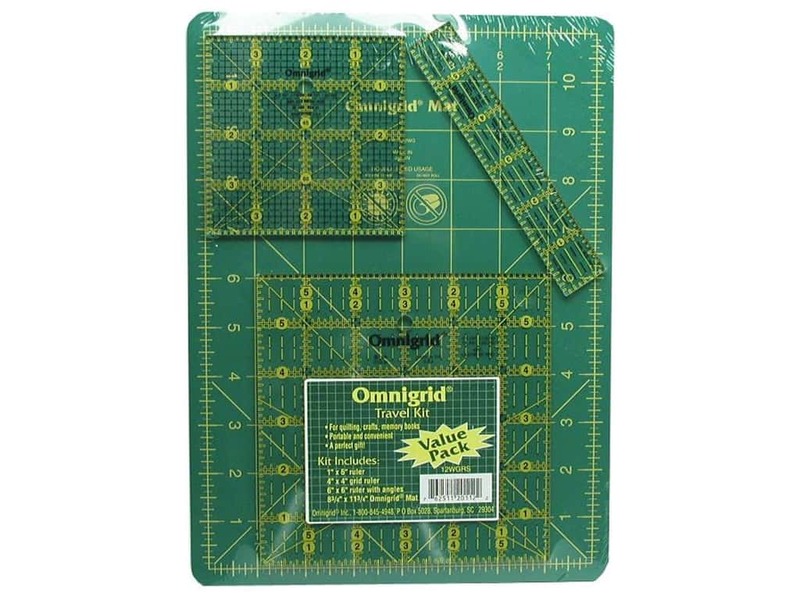 Omnigrid Mat & Ruler Travel Kit -- CreateForLess 5.00 out of 5 based on 1 ratings. 1 user reviews.